Digital marketing agencies as a whole may sound like a broken record....you need a website, you need to be on social media, you need to blog. You get it. But why do we all keep saying it? Because it’s true. 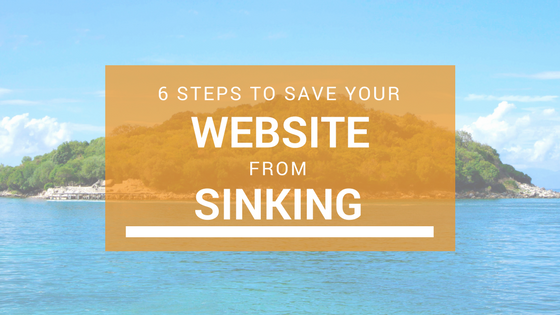 Your website floats in a sea (the internet) filled with other businesses trying to get their websites to shore (aka connecting with a prospect -- was that a stretch?). “Okay, so what do I do?” You ask. We’re here to help. Follow these 6 website “must-haves” to optimize your website so it connects with the leads you want. Let’s reel em’ in! I’m not talking “Once upon a time.” Your website needs to tell an emotional, attention-grabbing story, and it needs to be told in less than a minute. What is the problem your website is trying to solve? How can they find out more information about your company? People don’t care about you or your business. They care about their problems and what you can do to make their lives easier. You need to be the solution they are looking for and your website needs to convey that in a simple, structured way. A strategically placed and visible call-to-action will act as a river, guiding your future client through your website, the way you want them to go. Each blog post you publish adds another page onto your website, subsequently boosting your SEO. Pro Tip: Write 3-4 blogs a month to keep your content fresh and to continuously add to your brand’s search value. Your blogs should be timely, interesting content that you know your prospects will be searching for. Instead of writing something technical that only your industry leaders would understand, make it simple and helpful. Tip articles, lists, videos, and educational content are what thrive on the internet. Pro Tip: Make your blog a separate button on your website’s menu so it’s easy to find! When people like something, they want to shout it from the top deck. This is how social media helps - it lets people take their opinion of a business and share it with their network of friends, family and colleagues. The goal of your website is to be seen by lots of future clients and for them to in-turn tell their friends about it. By adding social share buttons to each blog post and near your web content you are increasing the possibility of connecting with future clients. This gives your visitors direct access to all of your social profiles and allows them to easily share from their personal profile. A stagnant website creates boredom for your leads and closed clients. Are you updating your strategies to include a rotation of website updates? What’s your focus for the next quarter - can you offer ebook downloads, a new header image, blog posts, and social media updates to complement the strategy you’ve created? Your business is a forever-changing entity and your website should reflect that. We understand that your website took a long time to create and you love the way it looks - but a great website is never done! Small changes can mean more leads and more conversions. Last, but soo not least, people love free things. When you offer site visitors a helpful ebook, one-sheet, infographic or checklist, without the stress of committing to anything, they will be much more likely to use your services and refer you to their friends. Keep it simple, not too technical, and answer frequently asked questions people have about your services. Pro Tip: Many people who visit your site are not ready to "buy now" and pick up the phone to talk to you. Make sure that the content you create and your no-obligation offers serve these people who will be researching your product or business for a bit longer.